We offer group Yoga & Barre classes of varying levels, making it possible for everybody to participate. Find the class that’s right for you and sign up here. You’ll find pricing packages work for your budget and your busy schedule. Check out our class rates here. Our workshops & events are designed to educate, inspire and empower you to live your best life! 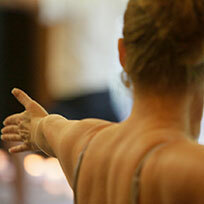 Some qualify for CEUs for yoga teachers. See our workshop schedule here. All of our teachers are trained and certified Infinite Light Yoga Teachers who provide a quality yoga experience for everybody, regardless of age, ability or level of fitness. Learn more about Yoga! See our articles and resources. Transform the lives of others through the practice of Yoga! Become a certified Yoga Teacher in our Yoga Alliance®-Approved 200-hr program. The most experiential and in-depth training in Central New York. Want more individual attention? 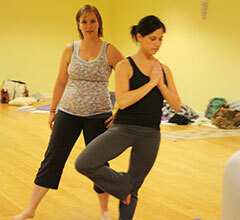 Book a private yoga session with one of our highly trained Infinite Light Yoga teachers. Semi-Private and Private Group Yoga Sessions also available. 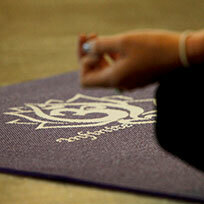 Learn More About Corporate Yoga Programs.